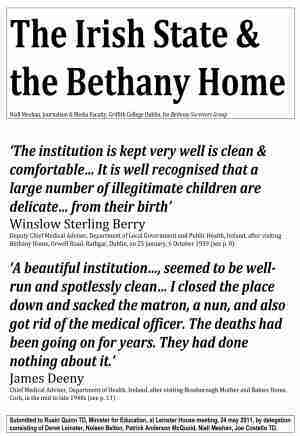 In letters to Joe Costello TD and Bethany Home Survivors Chairperson, Derek Leinster (attached), Ruairi Quinn TD, Minister for Education, turned down the survivors' request to have the Home included in the Schedule to the Residential Institutions Redress Scheme. They met the Minister on 24 May last, accompanied by other survivors from the home, and by Niall Meehan from Griffith College Dublin. 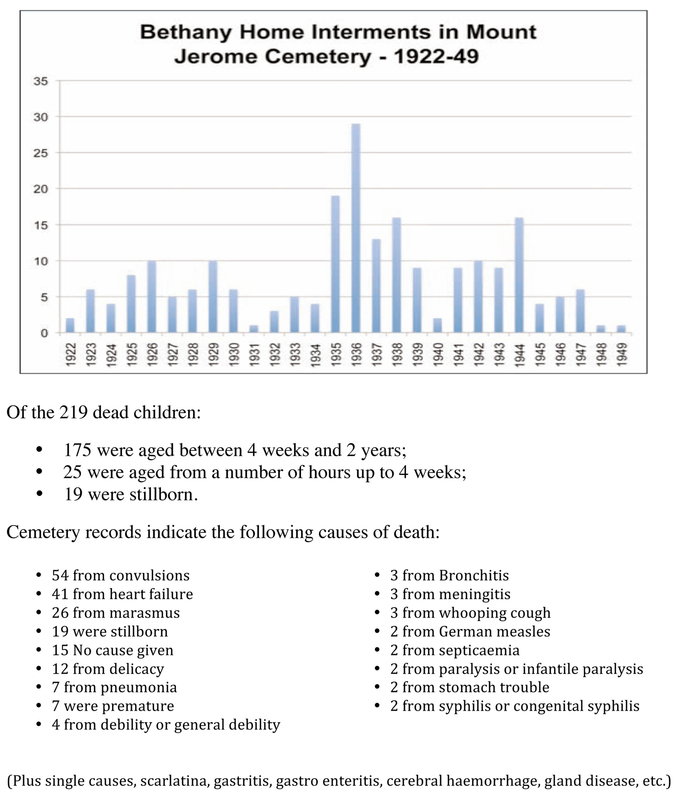 Inclusion is necessary in order for survivors to apply for compensation for the neglect they suffered in the home that the state was aware of but ignored. 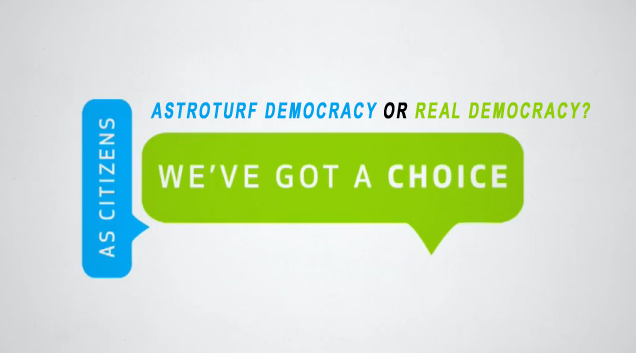 'Weed the Citizens' or 'Real Democracy Now!'? It is reasonable, considering the many high profile members of the elite involved in the project, to expect a blizzard of media attention for the 'We The Citizens' initiative to accompany their showpiece Citizen's Assembly taking place on June the 25th and 26th in the Royal Hospital Kilmainham. It is quite unbelievable that the bona-fides of those involved, and the methodologies being utilized by the initiative to select a representative group of people for their 'citizen's assembly', have been subject to no public scrutiny whatsoever to date. This is especially so when you consider the fact that so much money is being poured into it. Hugh Green, in a timely article which is excerpted below, subjects what he refers to as 'Weed the Citizens' to a searching critique. His piece, which looks coldly at the track record of some of the elite team behind the initiative, includes a translation of a report on recent events in Spain which feels (from an Irish standpoint) like a broadcast from an alternative universe. In that universe citizens organize themselves within structures created from the ground up and without help from billionaires and politically connected elite insiders. The brief and extremely vague overview of the methodology used by 'We the Citizens' for selecting participants makes it apparent that those with the benefit of a good education and the attendant confidence to participate would be favoured by this approach. These are not the kinds of people most likely to be hit hard by the actions of the ECB/IMF financial dictatorship presently running the country. 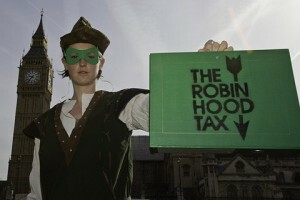 The Robin Hood Tax will stage a global day of action on June 22nd. As a fledgling group, Robin Hood Tax (Ireland) will initiate an email campaign aimed at our TDs asking them to support a Robin Hood Tax in Ireland. They don't represent us! Rights are won, not given! We are not commodities! It is not a crisis, it is a con! If you take our future, we will take the city! We are the children of comfort but we will not be parents of conformity! The Irish demonstrations are a response to a call from Spain’s Real Democracy Now! 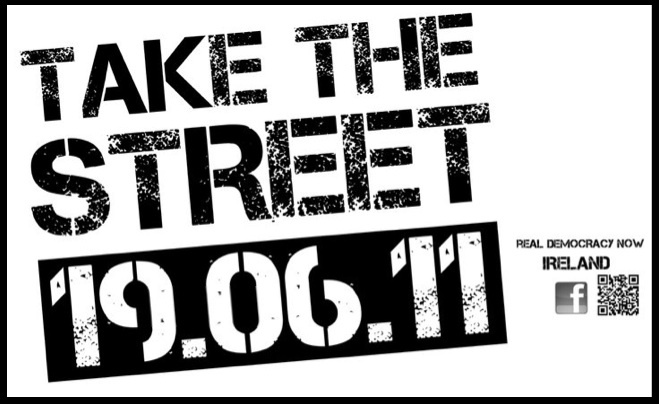 movement for a co-ordinated European response on the 19th June to the upcoming ratification of this Pact. The event planners hope that by combining public protest and public assembly, everyone present at the events will have a chance to speak, express their grievances, and take collective decisions on further actions against the imposition of austerity across Europe. Reflections on President Obama's Visit to Ireland. The country yesterday was abuzz with the visit of Obama to Ireland and the mainstream was aglow covering the event. There is no doubt he is popular in Ireland as evidenced by the tens of thousands who queued up and turned out to see him and went through airport type security to get a closer look. I would suppose there are two reasons for this and one is that everyone wants to be seen and associated with success and the other is that Irish people seem to get very proud of their country and want to show it off when important people or visitors in general show up. Related Links: OBAMA - The Emperor has no clothes, his wars have no end! 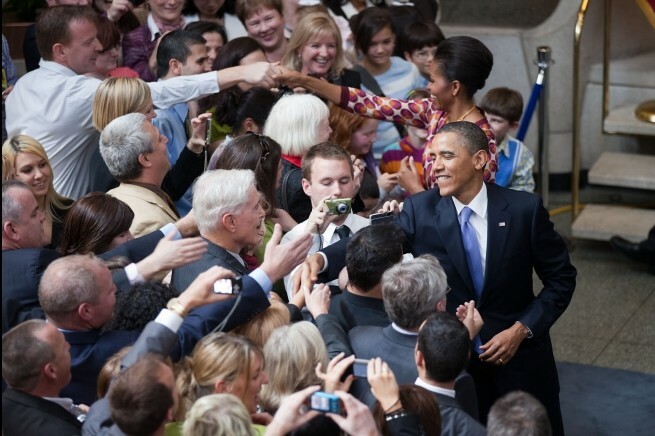 | Obama: A Presidency of Hope or Failure? External Links: Obama's Private Killing Machine Sibel Edmonds Bin Laden Death Script & the Needed Trigger for Next Step-Pakistan | Assassination Nation: Are there any limits on President Obama's license to kill? | Economy Obama’s Bushism | Mr. Obama’s Most Recent “2%” Sellout is his Worst Yet | Peak Oil OilDrum website The Speech Obama Need(ed) to Give | Still Obama says nothing After peak oil, are we heading towards social collapse?